Returning opera to the mighty Palais Theatre, Victorian Opera match the spectacle of 3D animation with the quality of singing as Wagner’s The Flying Dutchman drops anchor in Port Phillip Bay. The titular ghost ship may dock on dry land every seven years, but it is a longer time between visits for the epic opera. A romantic love story with a ghostly twist, the all too rarely seen opera proves easily accessible, all the more so with the ingenious use of 3D animation. The projections not only solve the problem of staging Wagner’s grand concept, they also serve as a seamless introduction for new audiences who are more accustomed to cinema than theatre. Professor Kim Vincs and her crack team from Deakin Motion.Lab have created spectacular imagery that is all the more valuable for the way it supports the storytelling rather than ever threatening to overwhelm it. A large rear screen is flanked by two diagonal screens, creating immersive surroundings for the stage action. On a stormy sea, Captain Daland’s vessel pulls into port, followed shortly after by the ghost ship, its massive red sails billowing precariously in the storm. 3D glasses can be rested for most of act two, set in Daland’s home, before the final sections return to the harbour for a visit below deck and the magical apparition of the ghost ship’s crew. The screens are framed by a deceptively simple stage set from Matt Scott and Christina Smith. The use of dark wood ties in with the boats, the dock and the seaside cabin home. Sloping rear walkways are much more visually interesting than steps would have been. Scott’s lighting is absolutely first rate, using side and overhead lights to provide plenty of illumination for performers without compromising the clarity of the projections. Teresa Negroponte takes a realistic yet highly decorative approach with the costumes, contrasting the uniform browns of the men with a rainbow of muted pastels for the women. Daland’s daughter Senta wears a gown of virginal pale blue, while her nurse Mary stands out in rather decadent purple. The level of detail extends to the women’s hairstyles, and their bonnets, when visiting the dock, are a delightful touch. Roger Hodgman’s respectful, traditional direction keeps storytelling clear and avoids any extraneous touches. Movement is slow and relatively static, as befits the leisurely pace of Wagner’s writing. The Flying Dutchman is, of course, brisker than Wagner’s later masterworks, but still, scenes such as The Dutchman and Senta’s act two duet where they first meet and swear their love, can only be played in a serene, deliberate manner. Hodgman derives some measure of energy from the hearty male chorus where he can. His expert dressing of the stage with the female chorus, especially as first seen spinning wool, is unfailingly attractive. Innovative scenery and appealing visuals would all be for nothing if the music were not of equal or greater calibre. Happily, the music from orchestra, chorus and principals is excellent. Maestro Richard Mills presides over the demanding score with a careful, loving, commanding and encouraging force. In a masterful move, Victorian Opera has engaged Australian Youth Orchestra to provide the massive orchestra, a decision that ties in with the company’s ongoing, unstinting support of young talent. Orchestral playing is marvelous, earning generous cheers of congratulation on opening night. Closely matching the high quality of the orchestra is the heavenly chorus singing, impeccably prepared by Phoebe Briggs. The men, as the ship’s crew, sing with rousing, focused volume, and the women project an angelic power. International singer Oskar Hillebrandt is supremely experienced in the role of The Dutchman, and the performance is clearly second nature to him now. If he is a little older than his castmates in the role, it does not really matter in a house the size of the Palais. While not an overly demonstrative actor, Hillebrandt’s baritone pours forth mightily with unwavering strength. American soprano Lori Phillips sings the role of Senta with steely intensity, colouring the drama with a luscious, full-bodied sound. 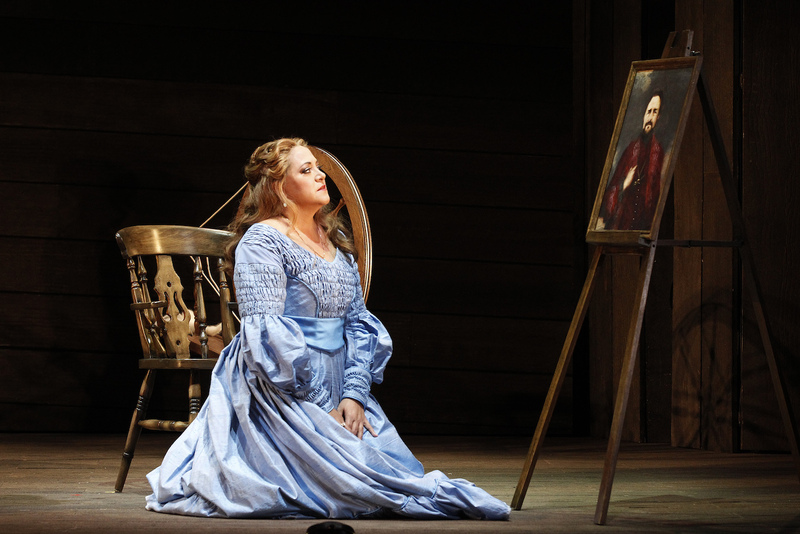 As with Hillebrandt, Phillips keeps her facial and expressions pared back, focusing all expression through her voice. Playing a young woman who is unhealthily obsessed with a ghostly legend, Phillips avoids histrionics and melodrama, maintaining a demure, introverted feminine presence. Australian baritone Warwick Fyfe, acclaimed in the 2013 Melbourne Ring Cycle, again proves his expertise singing Wagner. Fyfe is a lively Captain Daland, providing some welcome moments of levity when the captain’s avarice for jewels prompts him to quickly offer his daughter in marriage to the mysterious Dutchman. Australian tenor Bradley Daley gives a thrilling performance as Erik, Senta’s former boyfriend. Daley projects a strong stage presence, and sings the role with exhilarating power. 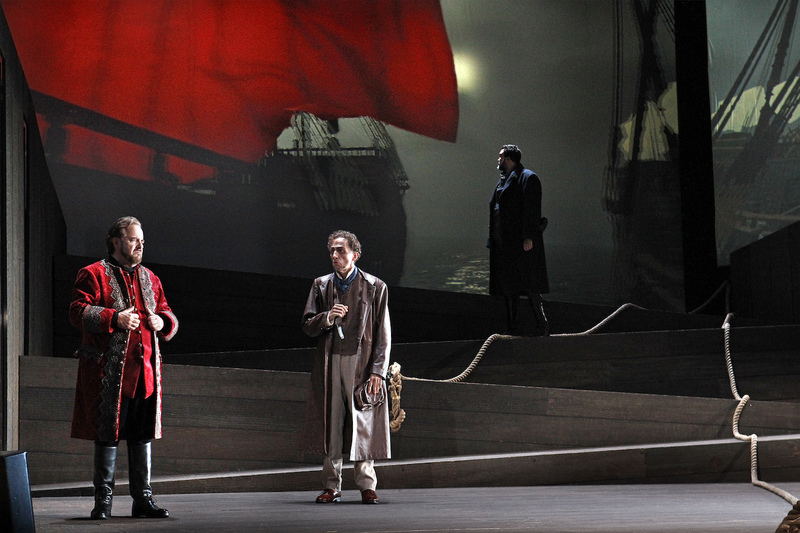 Young tenor Carlos E Bárcenas displays the remarkable strength of his vocals as the Steersman. Highly experienced contralto Liane Keegan makes a very welcome stage appearance as Senta’s concerned nurse, Mary. 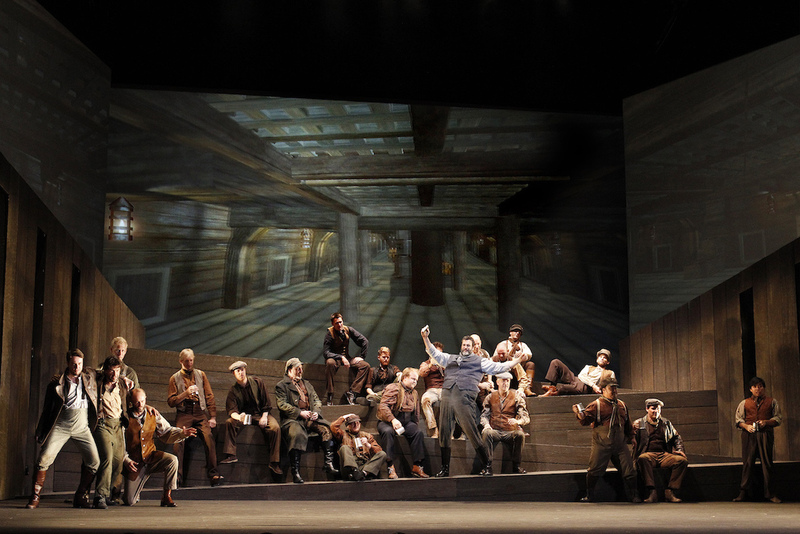 The Flying Dutchman is an operatic event that should not be missed. Newcomers, in particular, should not shy away on the basis of lack of familiarity with the piece. Bravo to Victorian Opera for assembling the talent and resources to mount such an impressive and entertaining production. The Flying Dutchman plays again at Palais Theatre, Melbourne 17, 19 February 2015. The Flying Dutchman program can be read online. 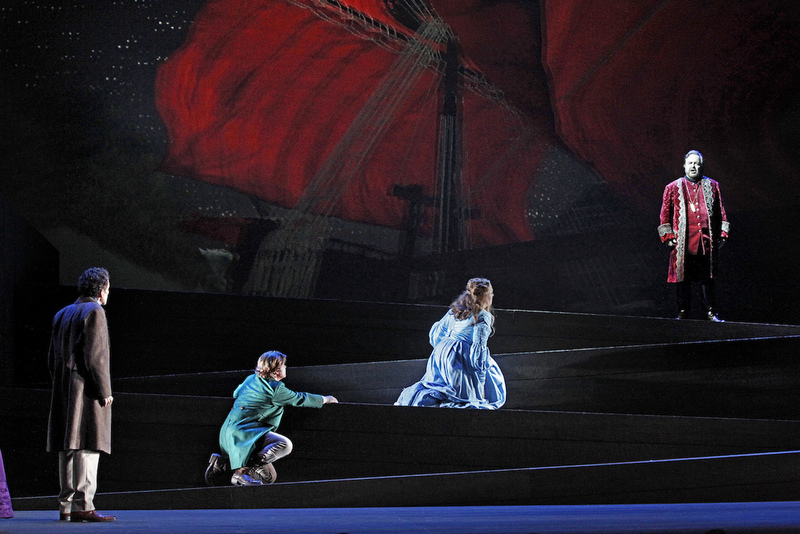 The Flying Dutchman is part of Victorian Opera Season 2015. ‘Man in Chair’ blogger was at opening night of Wagner-Goes-3D’ presented by Victorian Opera, as was I. His review re logged here says it all. I’m with him all the way – except that Senta’s dress was rather awful, and I thought the Dutchman’s singing faded a bit towards the end. But I loved to see a few local hipsters amongst the audience! Bravo to VO and that great young orchestra! Thanks so much for your comments Annette. It certainly was a rather special night. Haha, I see your point about Senta’s dress – I liked the colour but it was fairly shapeless and unflattering. I wonder what it would have been like seeing Hildebrandt as The Dutchman a couple of hundred performances ago (I believe he has done the role over 400 times). I am enjoying the increased diversity of opera in Melbourne. Next up: Lyric Opera of Melbourne’s L’Heure Espagnole and Gianni Schicchi at Chapel off Chapel – might see you there! It was a great night at the opera — worth my trip down from Sydney. Given the state of opera up here these days, you will certainly be seeing more of me in Melbourne. Yes, you have had a lot of “classics” on the opera stage in Sydney recently. I’m looking forward to Aida in the Harbour though. And I am coming up to see Faust. I love Michael Fabiano – saw him in an opera in concert in NY and he was amazing! 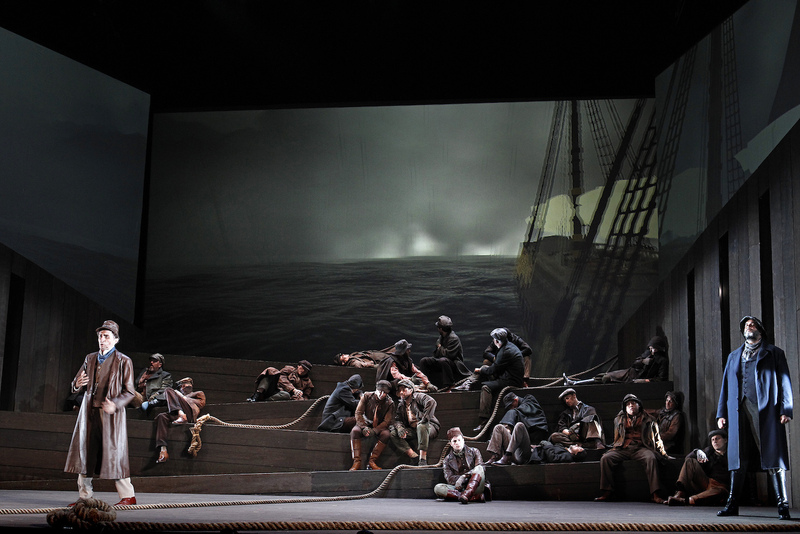 great review of last nights Victorian Opera premiere of Flying Dutchman! What are people looking at? It was more than sub par; it was awful. No idées here.The projections were neither clever nor thought through (How can the sails of the Dutchman’s ship remain full of air when there’s no wind blowing in the fjord? And O what a kitsch transfiguration!). Ladies’ costumes not Munch but ‘Gone with the Wind’. Fyfe can’t sing it. Lori Phillips is a wobbler. (What a wig, what a costume!) Hillebrandt complacent and inexpressive. Direction drab: I don’t care the sailors can offer Bavarian dancing: we’re supposed to be in Norway. Weren’t the ghosts on tape? The Palais’s air-conditioning muffled the excellent work of the orchestra. Why Hodgman? He stuffed ‘Nixon’ last year and can’t even do ‘Fiddler’. Is Menzies his creature? ‘Seven Deadly Sins’ and ‘Grumpiest Boy’ were inane and dull enough to suggest it. Doesn’t Mills know what he’s looking at? Thanks for your feedback Erste. You have very vivid recollection for a performance that took place a year ago. I hope you enjoyed other VO presentations for 2015, e.g. 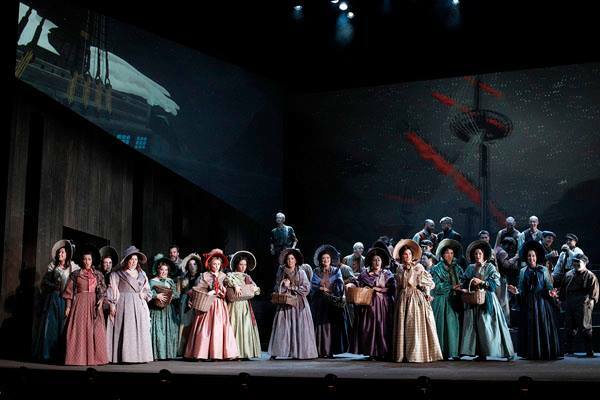 the wonderful concert of I Puritani.